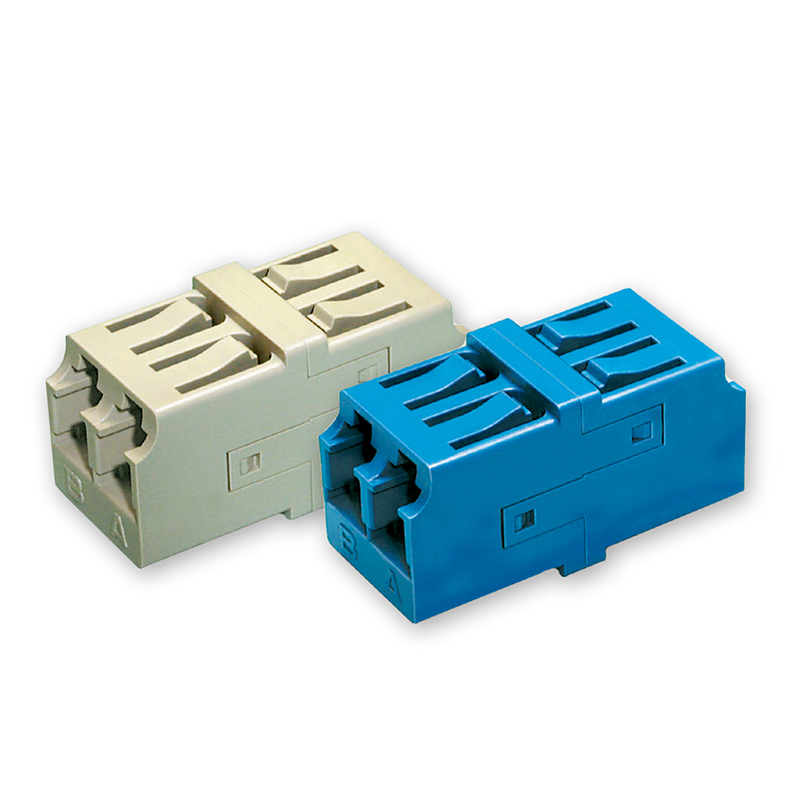 Sanwa LC Standard Adapters cover the full range of OFS regular LC adapter products, including regular simplex and duplex adapters as well as low profile duplex adapters. Sanwa’s precision plastic molding technology enables the development of all types of LC adapter plastic bodies as one piece, eliminating ultrasonic welding across the entire production process. This one-piece body design is far more durable than a 2-piece welded body adapter. All LC adapters come with your choice of phosphor bronze or zirconia split sleeve, and are good for multimode, single mode, and APC applications. 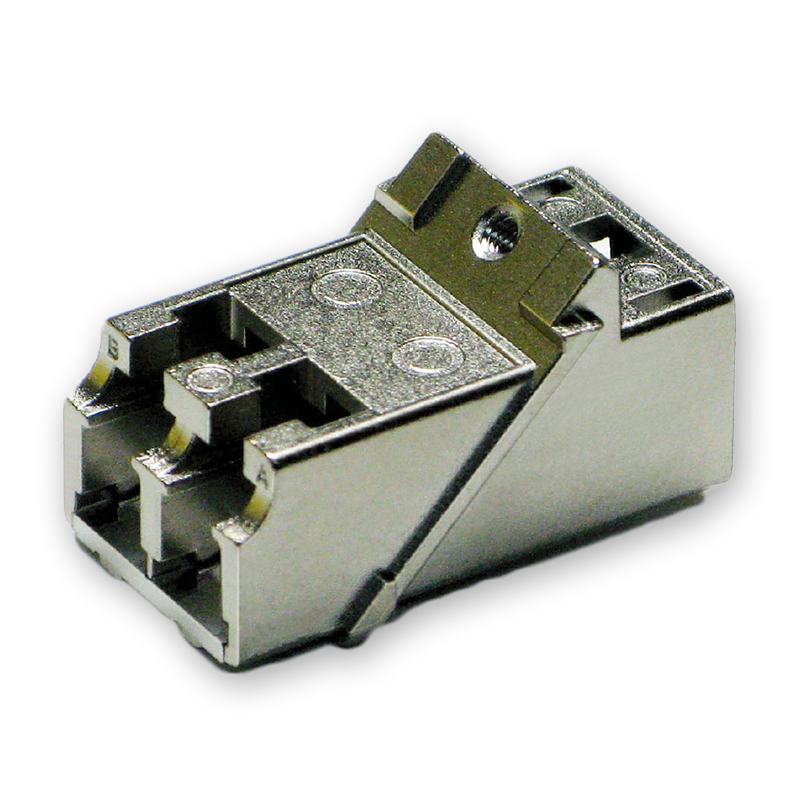 The Sanwa LC duplex low-profile adapter is easy to mount; just snap it directly into the panel – no screws needed. The LC Duplex’s 2-piece body design is characterized by a locking-arm style housing. This means tighter coupling, without the expensive ultra-sonic welding process. Add additonal combination for quote? 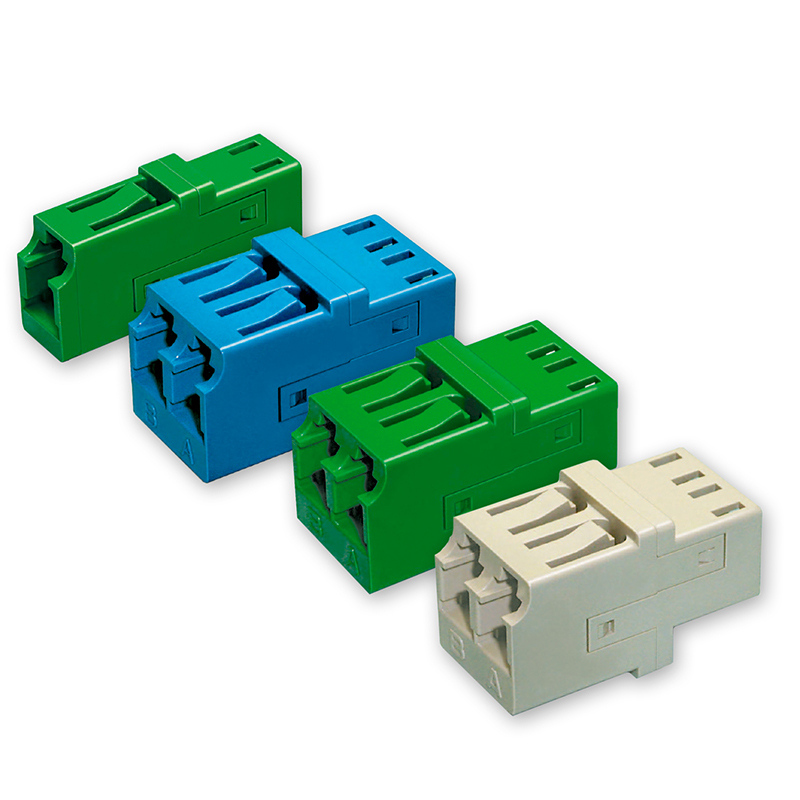 Sanwa offers duplex and quad adapters with the SC footprint as LC Slim-Pack Adapters. All Slim-Pack Adapters feature Sanwa’s durable, one-piece body design. Each is available in your choice of phosphor bronze or zirconia split sleeve in single-mode, multimode, and APC applications. 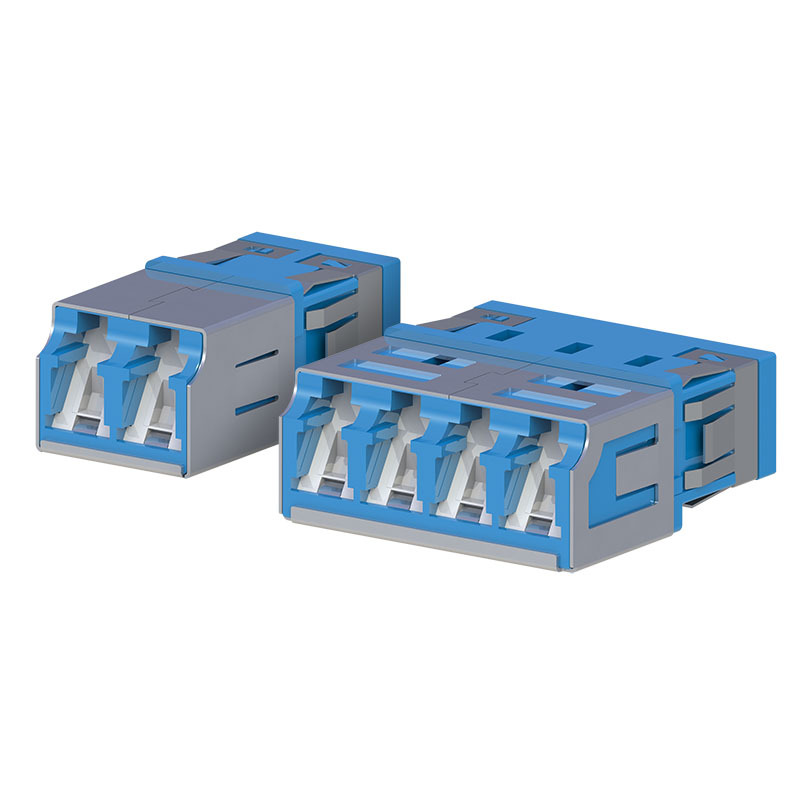 Sanwa also offers a “rattleless” version of the Slim-Pack duplex and quad adapter, which works by minimizing movement of the adapter itself as it is mounted on the panel. 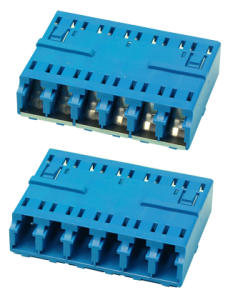 The Sanwa Multiport Adapter, also known as the LC 6-Port Adapter, is designed without flanges on either side of the adapter body. This makes possible side-by-side mounting, without wasting space. In addition, the LC Multiport helps maximize the density of the port on the panel, or minimize the panel space itself. As the industry’s first adapter with a built-in shutter, the Sanwa LC Dust Protection Built-in Adapter is designed to cover the entire coupler hole. These unique adapters virtually eliminate eye exposure to lasers and provide maximum protection from dust and other contaminants. The swing shutter automatically opens as the LC connector is inserted, and closes as it is extracted. Add additional product combination for quote? Sanwa LC Metal Adapters are available for duplex and 45° mounted format, with your choice of phosphor bronze or zirconia split sleeves. 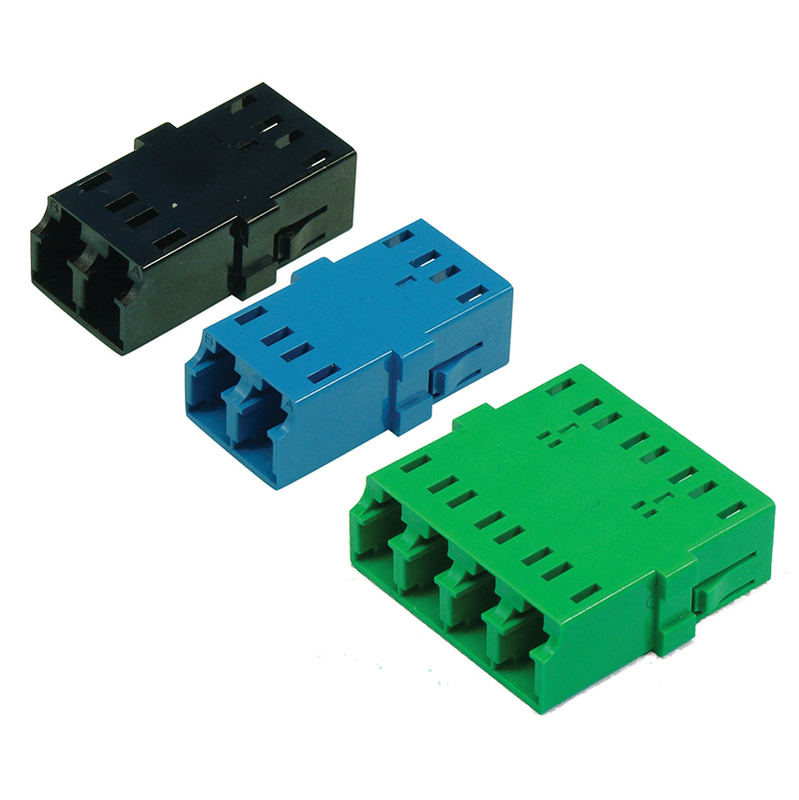 These adapters are designed and structured to provide the most effective EMI solution possible.